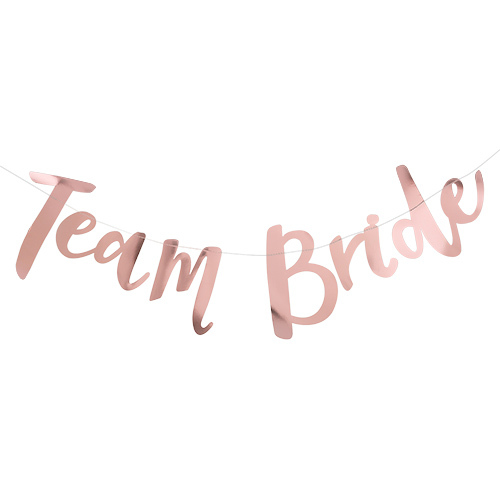 Among the huge range of banners and similar decorations which we have, bunting has become incredibly popular in recent years, hence the addition to our range of this fantastic Bride Tribe bunting. 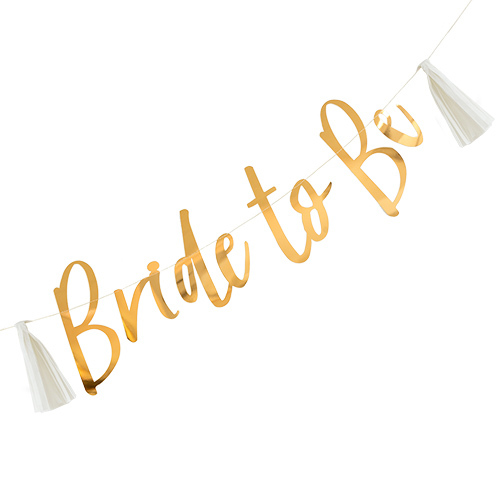 The large lettering makes this stand out and the iridescent finish will add some sparkle to any venue. 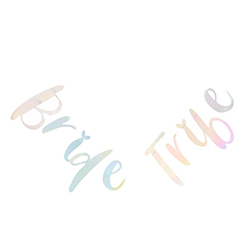 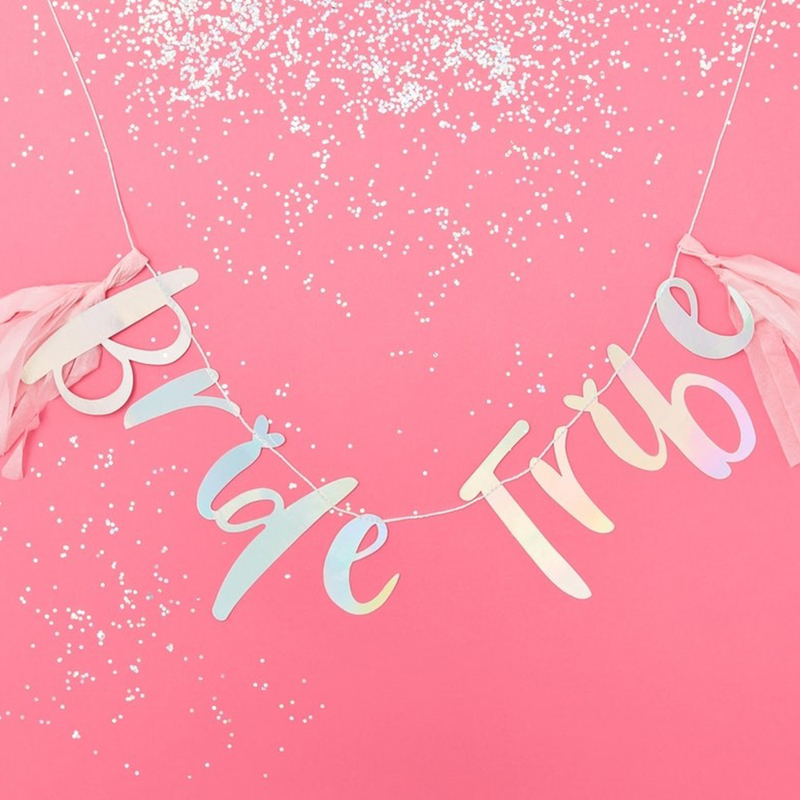 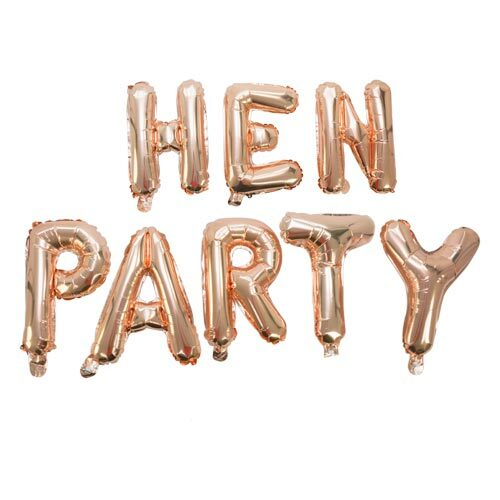 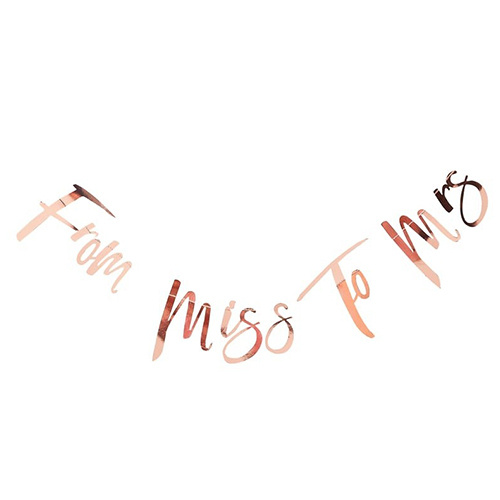 As part of our Bride Tribe collection this item can easily be incorporated into a whole theme for the hen do, or alternatively it can be displayed on its own as a statement piece, adding a classy twist to any venue. 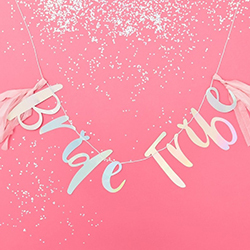 The bunting is 1.5 meters long and includes not only the letters but also two paper tassels to be attached to the ends.